Perfect for securing bicycles, motorcycles, garden equipment, patio furniture, and more. Constructed from high quality braided steel for maximum strength while maintaining flexibility and durability and minimizing weight. Both ends are looped to allow them to be easily used with padlocks or in other situations. Cables are vinyl coated to protect against corrosion and prevent scratching delicate surfaces such as paint or chrome. Braided cable, while more flexible and lighter than chain, is also somewhat more vulnerable. Braided cable is more susceptible to bolt cutters than hardened chain. 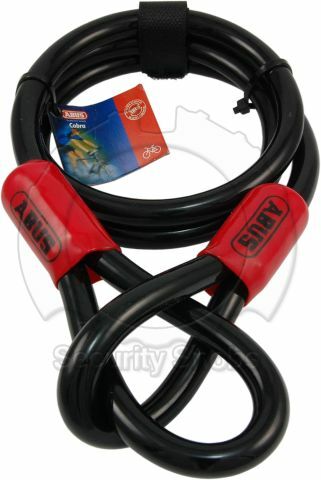 ABUS Braided Cable was successfuly added to your shopping cart. You can browse for more products or proceed to checkout.